My name is Davina Hopwood and I am your new Goodwill Australian International Ambassador for 2019. My platform is the Epilepsy Foundation and the reason I have chosen this is because my daughter Danielle was diagnosed with Epilepsy at the age of 14. Danielle is now 18 and my life and my families life changed forever since. My goal is to bring more awareness to the condition as there is still no known cure. There are now over 650 million people worldwide who suffer from Epilepsy and about 25000 people in Australia. There is a lot more work that needs to be done and if I can be a voice and make my daughter proud then I want to continue with this journey. Im am proud to have the Australian International Pageant on my side and to use them as a tool for my platform is what I want to do. Goodwill Ambassador – The Goodwill Ambassador is a person that involves themselves with high profile philanthropic organisations and makes a difference to others by supporting the cause. They are respected and admired by their community. 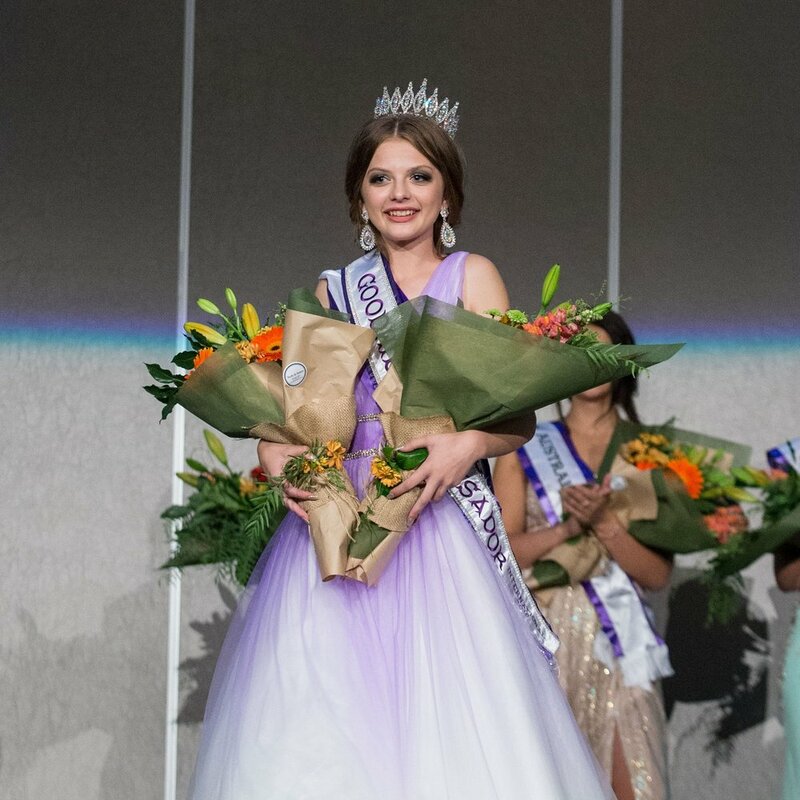 The Goodwill Ambassador represents The Australian International Pageants by discovering contestants, sponsors and a cause that they are passionate and enthusiastic about. They inspire everyone through their journey of fulfilling their role. The International Goodwill Ambassador is voted by her fellow board of directors, contestants and nominated by a philanthropic group or charity organisation.